Rashard Clark named LSC Track Athlete of the Week. 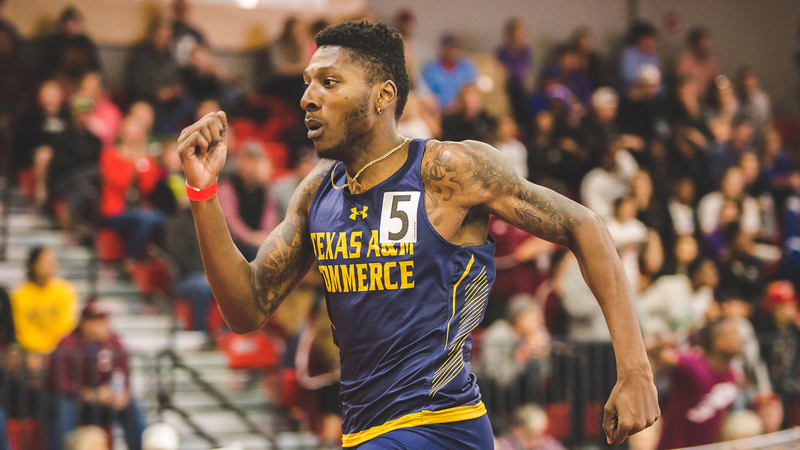 RICHARDSON – Texas A&M University-Commerce senior Rashard Clark has been named the Lone Star Conference Men’s Indoor Track Athlete of the Week, as announced by the league office Wednesday. Clark (Los Angeles, Calif.) put up two of the top times in the nation at the Pitt State Invitational, earning two qualifying marks. His 400-meter dash time of 47.29 seconds is an automatic qualifying mark, the fastest in the LSC this season, and the third-fastest in the nation this season. He also earned a provisional qualifying mark in the 200-meter dash at 21.51 seconds, which is the fastest in the LSC this season and the eighth-fastest in the nation this season. His 200-meter time was the quickest in Division II this week. Clark is a four-time All-American at A&M-Commerce, earning indoor 200-meter and 4×400-meter relay honors and outdoor 400-meter and 4×400-meter honors. This is his fourth LSC Men’s Track Athlete of the Week honor. Clark and the Lions compete at the Texas Tech Open in Lubbock this Friday and Saturday. Regional Champ Lions ranked No. 9 in initial NFCA Coaches Poll. LOUISVILLE, Ky.– The Texas A&M University-Commerce softball team is ranked No. 9 in the country in the first National Fastpitch Coaches Association coaches poll of the 2019 season. It is the 14th consecutive poll in which the Lions have been nationally ranked. The Lions are the highest ranked team that did not participate in last season’s NCAA Division II National tournament. The national rankings were released Wednesday. The Lion softball team had its most successful season in program history during the 2018 season. Finishing with a record of 42-12, set a program record for wins. They came in third place in the Lone Star Conference standings, and that was their highest finish in school history. The team won its first-ever LSC Tournament game and advanced to the NCAA South Central Regional Tournament for the second time in program history. The Lion offense caught fire in the tournament, outscoring opponents 52-27 to win the program’s first-ever South Central Region Championship. The team would go on to fall to Angelo State in the Super Regional series. The Lions had one of the most prolific offenses in the nation last season. They led the country in on-base percentage, were second in home runs, third in slugging percentage, fourth in scoring average, sixth in batting average and seventh in stolen bases. The team led the LSC in scoring, on-base percentage, RBIs and stolen bases and were second in batting average, home runs, slugging percentage, and fielding percentage. The Lion pitching staff also set program records for lowest opponent batting average, fewest hits allowed, fewest runs allowed and fewest walks allowed. The Lions return 13 players from last year’s squad, including 11 who started at some point in the season. The Lion offense will be led by junior Kinsie Hebler, who was named First Team All-American by both the NFCA and the D2CCA. Hebler finished seventh in the nation in homers, third in RBIs and 10th in both slugging percentage and total bases. The Lions also return Second Team All-Region and gold glover Ciera Nunez, gold glover and Second Team All-Conference pitcher Emily Otto and Third Team All-Conference outfielder Kayla Kilcrease, among others. The Lions also have 13 new players, including 11 freshmen and two juniors. The Lions begin the season on Friday against St. Mary’s. A&M-Commerce will travel to Conroe to play six games as part of the Arkansas Tech Tournament. Among their opponents in the opening-season tournament are No. 20 Arkansas Tech and No. 25 Augustana. The Lions first home game will be played on Feb. 15 against MSU Texas, the first game of a three-game series. Season tickets for Lion Softball home games at the John Cain Family Softball Field are available for $70 with a total of 21 games spanning 13 different dates. Tickets can be purchased by visiting WeAreLionsTix.com, calling Lion Sales & Service at (903) 468-8756, or visiting the LSS Box Office in the Field House during business hours. Lions predicted to finish fourth in LSC Softball Preseason Poll. RICHARDSON– The No. 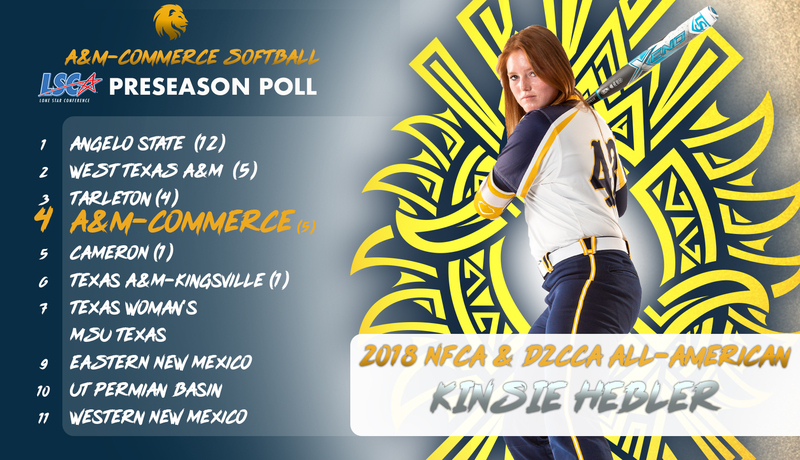 9 Texas A&M University-Commerce softball team has been picked to finish fourth in this season’s Lone Star Conference preseason poll. The poll was released Wednesday. The Lions finished the 2018 season with a 42-12 record. It was a record-setting year for the Lions as they won the team’s first ever Regional Championship. The team advanced to Super Regionals, finishing the season with a program-record 42 wins. 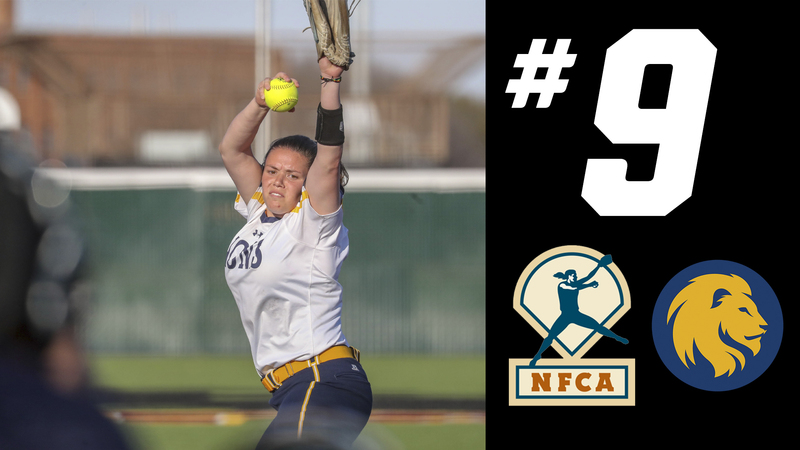 The Lions were national leaders in several categories, finishing sixth in the nation in batting average, second in home runs per game, fourth in scoring, third in slugging percentage and seventh in stolen bases. The Lions led the nation in on-base percentage. The Lions received five first-place votes in the poll, tied for the second most in the conference. First place to fourth place was separated by just 29 points, including just a three-point separation between second and fourth place. Angelo State received 12 first-place votes and is chosen to win the conference. West Texas A&M joined the Lions with five first-place votes and came in second. Tarleton State was picked third with four first-place votes. The Lions begin the season on Friday against St. Mary’s. A&M-Commerce will travel to Conroe to play six games as part of the Arkansas Tech Tournament. The Lions are currently the No. 9 ranked team in the nation in the NFCA Coaches Poll. Among their opponents in the opening-season tournament are No. 20 Arkansas Tech and No. 25 Augustana. The Lions first home game will be played on Feb. 15 against MSU Texas, the first game of a three-game series. The Lions will host 21 home games, including eight double-headers and 15 LSC contests. The Lions finished the 2018 season with a 17-5 record at the John Cain Family Softball Field. The Lions averaged more than six runs a game at home, outscoring opponents by an average of 3.1 runs per home game. Season tickets for Lion Softball home games are available for $70 with a total of 21 games spanning 13 different dates. Tickets can be purchased by visiting WeAreLionsTix.com, calling Lion Sales & Service at (903) 468-8756, or visiting the LSS Box Office in the Field House during business hours.